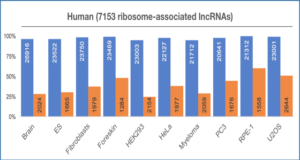 It is increasing evidence that ceRNA activity of long non-coding RNAs (lncRNAs) played critical roles in both normal physiology and tumorigenesis. 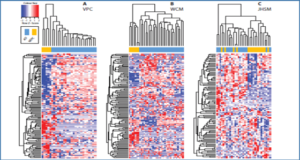 However, functional roles and regulatory mechanisms of lncRNAs as ceRNAs in pancreatic ductal adenocarcinoma (PDAC), and their potential implications for early diagnosis remain unclear. 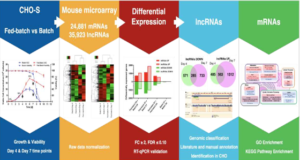 In this study, Harbin Medical University researchers performed a genome-wide analysis to investigate potential lncRNA-mediated ceRNA interplay based on “ceRNA hypothesis”. 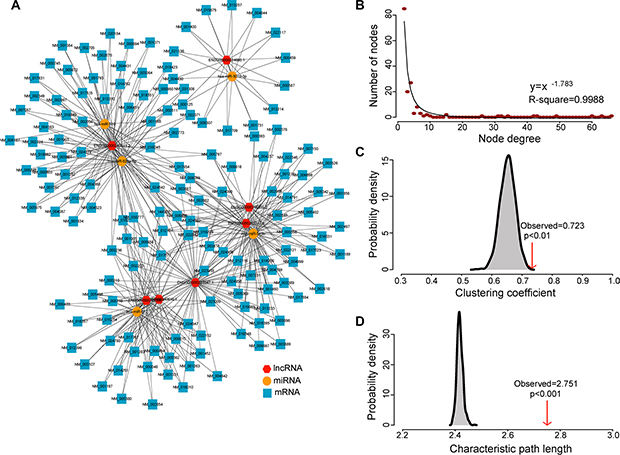 A dysregulated lncRNA-associated ceRNA network (DLCN) was constructed by utilizing sample-matched miRNA, lncRNA and mRNA expression profiles in PDAC and normal samples in combination with miRNA regulatory network. The results of network analysis uncovered seven novel lncRNAs as functional ceRNAs whose aberrant expression will result in the extensive variation in tumorigenic or tumor-suppressive gene expression through DLCN at the post-transcriptional level contributing to PDAC. (A) Global view of the DLCN in pancreatic cancer. The DLCN was comprised of 467 edges among 5 miRNAs, 7 lncRNAs and 150 mRNAs. (B) Degree distribution of the DLCN. (C) The clustering coefficient of the DLCN is higher than randomization test. 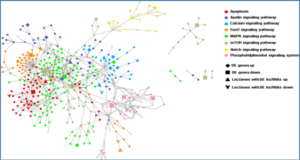 The arrow represents the clustering coefficient in the real ceRNA network. (D) The characteristic path length of the DLCN is higher than randomization test. The arrow represents the characteristic path length in the real ceRNA network. Therefore, the researchers developed a 7-lncRNA signature (termed LncRisk-7) based on the expression data of seven lncRNAs and SVM algorithm as a novel diagnostic tool to improve early diagnosis of PDAC. The LncRisk-7 achieved high performance in distinguishing PDAC patients from nonmalignant pancreas samples in the discovery cohort and was further confirmed in another two independent validation cohorts. 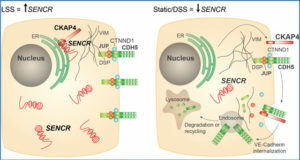 Functional analysis demonstrated that seven lncRNA biomarkers act as ceRNAs involving the regulation of cell death, cell adhesion and cell cycle. 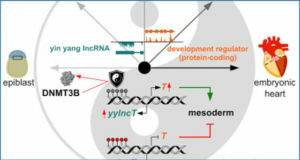 This study will help to improve our understanding of the lncRNA-mediated ceRNA regulatory mechanisms in the pathogenesis of PDAC and provide novel lncRNAs as candidate diagnostic biomarkers or potential therapeutic targets.